You will need Ionic 4 and Node installed on your machine. In this tutorial, we'll learn to use Chatkit read cursors and customize user profile photos. This is based on the Ionic 4 application we’ve built in the previous series. You can get the source code of this part from this GitHub repository. In the previous tutorials, we’ve started building a mobile application with Ionic and Angular on the frontend and Nest.js on the backend. For chat features, we’ve used Chatkit which provides out of the box chat features commonly used in most popular chat apps. We’ve added features like typing indicators and file attachments. Now, we’ll proceed with our demo application by implementing other functionalities such as read cursors and profile photos. We are not going to reinvent the wheel, instead we’ll be using the demo application we’ve built in the previous tutorials so if you don’t want to follow from the start, you can simply clone the project from GitHub. Follow these instructions to set up and run your application. Before starting your application, you need to open the frontend/src/app/chat.service.ts file and update YOUR_INSTANCE_LOCATOR and YOUR_ROOM_ID with your own values which you can get from your Pusher dashboard after creating a Chatkit instance. Note: You can refer to the Configuring Chatkit section on the Building a mobile chat app with Nest.js and Ionic 4 - Part 1: Build the backend tutorial for instructions on how to create a Chatkit instance. 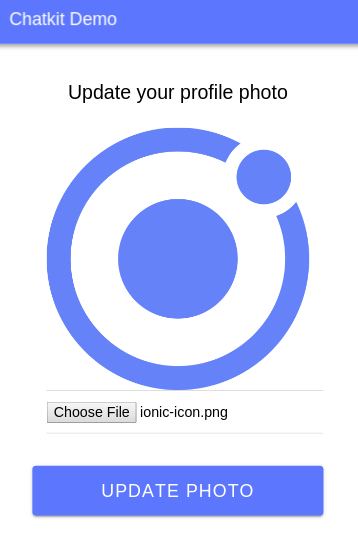 Your Ionic application will be running from the http://localhost:8100 address. Next, open the server/src/auth/auth.service.ts file and change YOUR_INSTANCE_LOCATOR, YOUR_SECRET_KEY and YOUR_ROOM_ID with your own values. This will start a live-reload development server which will be running from the http://localhost:3000 address. Before implementing the features of this tutorial, let’s first add some improvements to our application. This simply checks if currentUser is different than null. On the line 4, we define a messages array and on line 15, we push the received messages to this array instead of this.messages (member variable of the service). This will allow us to connect to Chatkit from the chat page if we are not connected yet. Note: Make sure to add the async keyword before the ngOnInit() method. 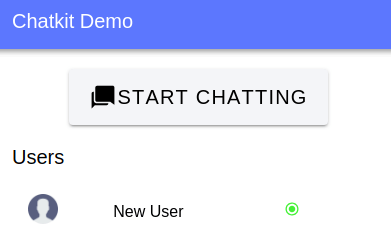 The previous changes will allow us to unsubscribe from the usersSubject and messagesSubject subjects defined in the src/app/chat.service.ts file and solve issues related to Angular Change Detection in development (The ExpressionChangedAfterItHasBeenCheckedError error) and duplicate messages displayed in the chat UI. Let’s now implement our features! 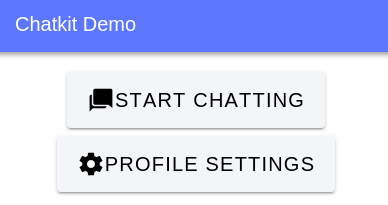 Most chat applications provide a way for users to add a profile photo. Chatkit allows you to assign profile photos to users but doesn’t provide storage so you need to upload images to your server. Nest.js uses the multer middleware for supporting file uploading. The middleware can be configured and adjusted depending on your requirements. Note: Multer is a middleware that works only with the multipart/form-data encoding type, which is primarily used for uploading files. You can upload a single file by using the FileInterceptor() and @UploadedFile() decorators, and you can then access the file from the file property in the request object. Let’s see this by example. This method will be used to update the user avatar. It simply calls the updateUser() available in the chatkit instance. You can read the docs for more information about this method. The method is passed an object that provides the ID of the user and the avatar URL. Note: the other symbols are already imported from the previous tutorials. The @Get() decorator before the uploads() method tells Nest to create an endpoint for this particular route path and map every corresponding request to this handler. The @Param decorator allows us to get the value of the imgId parameter passed through the URL. The @Res() decorator allows us to inject a library-specific response object. You can find more details about it from the Express docs. The injected response object provides the sendFile() method (which is supported in Express v4.8.0+) that transfers a file at the given path (passed as the first argument) and sets the Content-Type response HTTP header field based on the filename’s extension. Since we specified the root option in the options object (passed as the second argument), the path argument can be a relative path to the file (In our case it’s just the name of the file). In our example, the file will be transferred from the uploads folder. This route will allow our Nest.js application to serve static files from an uploads folder. Note: If you don’t manually create this folder it will automatically be created by Nest.js but in our case we need to add our user default avatar to this folder that’s why we are manually creating it. Next, add the default user avatar that we used before from the https://image.flaticon.com/icons/png/128/149/149071.png link in the uploads folder (save it as avatar.png). Now, we are serving the default avatar from our server. Now that we are able to serve static image files from our backend application, let’s add the route for allowing users to update their profile photos. This allows you to send a POST request to the 127.0.0.1:3000/avatar endpoint from the frontend application to update the profile photo. The uploadAvatar() method is mapped to the /avatar endpoint and accepts POST requests which contain the user identifier and the uploaded file. In the body of the method we simply call the updateUserAvatar() method defined in AuthService to update the user avatar with the URL of the uploaded image. After implementing file uploading in the backend, let’s now add a profile page in our Ionic application which allows users to upload their profile avatars to the server. We create a form and we bind the ngSubmit event to an uploadAvatar() method that will be called when the users click on the submit button. The uploadAvatar() method takes a reference to the form created using a template reference variable (#f="ngForm"). We also bind an attachFile() method to the change event of the file input tag which will be called when the user clicks the Choose File button and select a file. We import HttpClient for sending POST requests to the server and the Ionic Storage service for working with local storage. The SERVER_URL variable simply holds the server endpoint for uploading user profiles. The fileToUpload variable will hold the selected image file that will be uploaded to the server. We simply call the get() method of the Storage service to retrieve the USER_ID and assign it to the userId variable we defined earlier. Note: Make sure to add the async keyword before the ngOnInit() method to be able to use the await keyword in the body of the method. This method will be called when the user selects a file. If a file is selected it will be stored in the fileToUpload variable we defined earlier. We use the FormData interface to create a form object and we use the append() method to add fields to the form (the file field which contains the file to upload and the userId field which contains the user identifier). Finally we send the form data with a POST request using the post() method of HttpClient. Read cursors allow you to let users know how far they or other users have read the conversation. This means you can keep track of the most recently read message ID for each user of a room. The setReadCursor() calls the setReadCursor() of currentUser to set the position of the read cursor of the current user in the room. The getReadCursor() method calls the readCursor() method of currentUser to get the position of the read cursor of the current user in the room. If the read cursor is undefined, we return -1. In both methods, if you don’t specify the room ID, the ID of our general room will be used. The readPosition variable will be used to store the position of the read cursor of the current user. The userTyped variable is a boolean which will be used to track if the user has typed something in the message input area and the unreadCount variable will store the number of the unread messages. We simply loop through the array and we compare the ID of the current message with the read cursor position that was previously stored in the readPosition variable. Also, update the onKeydown() method (that gets called when the keydown event is fired in the message textarea) to set the userTyped variable to true. In this method, we set the position of the read cursor of the current user to the latest message that was received and we also call the scrollToBottom() method to scroll down the chat UI. Note: When the message textarea gets focus we consider that the user has read the latest messages in the room. And the message is not the last message in the array. 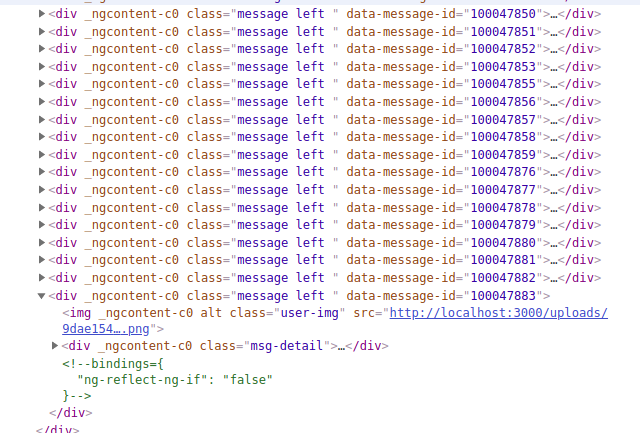 This method will be applied on each message DOM element of the chat UI and will be used to determine if the message is the latest one read by the user. Note: We’ll use the isMostRecentReadMessage() to determine whether we can display the Un-Read Messages DOM element on the chat UI that’s why we also check if the user has typed something on the message input field. This way, once the user has started typing, the Un-Read Messages element will disappear. Note: The focusin event was already bound to the scrollToBottom() method that’s why we moved the call of this method to the onFocus() method. We’ll use the messageId template reference to pass the DOM element containing the message as the first argument of the isMostRecentReadMessage() method we defined earlier. We use the ngIf directive to display this <div> element after the most recent message read by the user except if it’s the last received message. This element shows the Un-Read Massages string with the number of unread messages and will disappear if the user starts typing in the message input area. Now, try to send a few messages in the group then logout and login with another account, you should get Un-Read Messages displayed with the count of the unread messages. If you register a new user, their read cursor will be undefined so you will not see the Un-Read Messages message but once they send their first message, their read cursor will be set to that message and you’ll be able to see Un-Read Messages in the next time they login provided that someone has sent a message in the group. Note: For better testing results, try to use a clean browsing session. You can either use a browser which was not used before for testing the application, clear your browser history and local storage or use the incognito mode in Chrome or the private mode in Firefox. 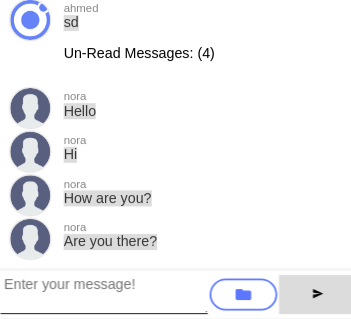 In this tutorial, we’ve seen how to upload and serve user avatars in our Ionic 4 and Nest.js chat application and we also used Chatkit to implement read cursors that show users the position of the latest message they have read and the count of their unread messages in the room. You can get the source code from this GitHub repository.